This plan is ULIP based investment with insurance plan.The new LIC Pension follows the strict rules by IRDA that come into effect from September 1 2010. LIC Pension Plus plan is designed in such a way that to accumulate wealth during a persons lifetime until pension, and let him live in a tension free life after the retirement. The minimum premium period of the policy is 10 years and maximum 40 years. At the end of the policy term, the fund value will be paid with guaranteed maturity benefits, either as a lump sum or in the form of installments. In the event of any mishap during the policy term, the exiting fund value will be cashed to the relatives. The LIC Pension Plus plan assured a 4.5% yearly return as per IRDA norms. The premium collected from an investor is converted into units, and a NAV is set for the units. The premium is then invested into various funds. There are two fund options in LIC Pension plus, debt and mixed funds. The debt fund invests the premium after charges in government securities and bonds with lower risks. The mixed fund invests the premium after charges in equity funds as well as the debt funds. The Equity fund option will give more returns, but the fund value will be affected by the up and downs in stock markets. There is also an option to switch between funds based on preferences. Earlier There was no surrender charge with LIC ULIP products. 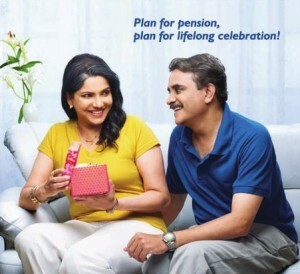 However, due to the new IRDA rules , LIC introduced surrender charges for their new Pension Plus ULIP product. LIC Pension Plus plan has a surrender charge ranging from 2-10% for premature withdrawal or cancellation of policy- but there is no surrender charge after the policy year five.